The owner of the company that makes Segways died Sunday when he drove an off-road model of the vehicle off a cliff on his estate in West Yorkshire, England. 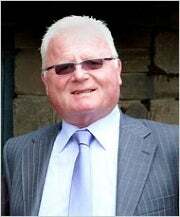 The body of James W. Heselden, 62, as well as the Segway he had been riding, were recovered from the River Wharfe, according to numerous news reports. No official cause of death has been released yet, but police have told reporters that the death does not look suspicious. Heselden, whose estimated worth is more than $263 million and who was ranked 395 on the Sunday Times of London's Rich List, bought Segway in January. After working as a miner and engineer, Heselden invented a sort of Jersey Barrier for battlefields. The portable containment system is a wire cage that can be filled with earth and sand and used as a defense barrier to bullets, missiles, and suicide-bomber attacks. His company, Hesco Bastion, founded in 1990, has been very successful in selling the barriers to NATO nations, including the United Kingdom and the United States. The Segway is a two-wheeled, scooter-type vehicle that uses gyroscopes to remain upright. An operator can steer the vehicle using body English. The scooters were invented in 2001 by Dean Kamen and were first sold in 2002. According to the company's Website: "Today, Segway continues to develop safe, unique transportation solutions that address urban congestion and pollution and leverage our in-house expertise. No matter the platform, our products allow you to experience more with less." Heselden is survived by his wife, Julie, five children, and eight grandchildren.